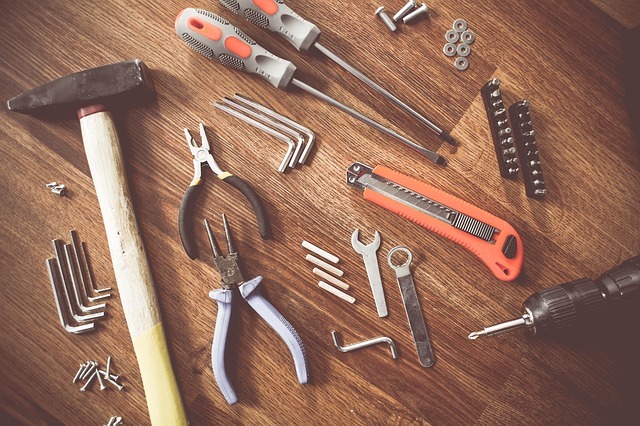 Just like with any business whether it’s based online or brick and mortar style, it’s imperative that you have the right tools to get the job done. In order to have any type of success in the online affiliate marketing world, it’s going to require the highest quality tools out there to come out on top and have a website that earns you 6 figures a year or more. Over the years I have found many many tools that have helped me build and grow my business immensely over the past 6 years and I thought I would share these tools with you guys today. Since I’m constantly learning more about this business and sharing what I have learned with you guys on this website this page will be continuously updated to include the latest tools that I’ve added to my arsenal. Are you guys ready to get started? 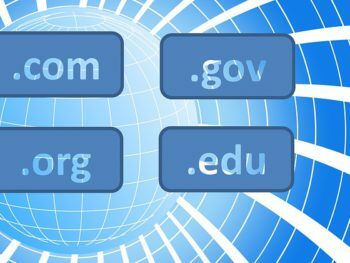 In order for you to have any type of long term success in the online world it’s going to require you to purchase your very own domain name. Having your own domain name is one of the most valuable assets that you have when starting an online business. This is what I like to think of as purchasing a piece of an online real estate that will continue to rise in value the more that you write helpful content. Think of it as you purchasing a piece of the internet for yourself and learn how to turn a profit from this by building a solid business on it. There are many places for you to purchase domain names from but the place that I recommend is Wealthy Affiliate’s Site Domains. Unlike places like Go Daddy and Namecheap that charge extra for basic things like privacy protection and email, this is included with the price of the domain name at WA. I don’t know about you guys, but there is nothing that I hate more than being nickeled and dimed for everything I go to do when setting up my website. Take a look at everything that comes included with your domain purchase below!! Go Daddy charges $59.99 a year starting out for SSL alone and if you were to calculate the price of these other features that they also charge extra for, you would likely be looking at close to $100 or more. Why pay more if you don’t have too, right? If you’re just getting started online then you’re likely living on a budget and you usually don’t have much money left over after you pay the bills right? Trust me I know exactly how you feel as I have lived like that for most of my adult life until about 6 years ago when I discovered the amazing affiliate marketing industry. In order for you to be able to properly connect with your audience and find out what keywords they are typing into Google you need an up to date keyword tool that will provide you with this kind of data. I have encountered many keyword tools that claim to be user friendly and display this info in the best way possible but many have failed to do that in my own personal opinion. The keyword tool that I have been using for the past 5 years now that has NEVER let me down and has provided me with the most accurate and up to date data in under 30 seconds to a minute is Jaaxy. Keywords are the lifeblood of any online business and if you don’t have the proper tools that will provide you with accurate updated information as to what your potential customers are searching for then your chances of being successful here are slim to none. I have personally purchased several other keyword tools as well as trying out several free ones as well and my experience with them was mediocre at best. If you’re looking for a keyword tool that won’t let you down and will have you ranking on the first page of Google in no time then I would highly recommend that you check out Jaaxy to see how it can help your business out. One of the reasons why most people fail to make money online is due to their poor grammar and their inability to spell words correctly. Trust me, I know all about this as I did pretty horrible in English class and my grammar and spelling were atrocious, to say the least. At first, I thought this would be a roadblock for me and hinder me from achieving any type of success in the online world. Wouldn’t it be nice if you had a proofreader that would check everything you typed and notify you of the correct spelling by underlining the questionable word (s)? 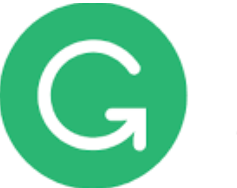 After doing a great deal of research on this I discovered a nifty tool call Grammarly that can be enabled by simply adding it to your browser as an extension. That was until I discovered this nifty little tool called Grammarly that comes in the form of a browser add-on that checks the spelling and grammar of everything you write online. Whether it be writing an email to your friends and family or writing a detailed product review about one of your favorite products in your niche. Grammarly will check to make sure you’re spelling words correctly as well as ensure that you’re using proper grammar when writing just about anything online. While I haven’t tried this on any other browsers as I prefer to use Google Chrome due to the fact that it seems to perform the best for people who run online businesses from home. I’m sure that you guys have a favorite browser that seems to work out the best for you and as long as it’s listed in the list above you’re good to go. They also have a native windows app that you can access from your desktop to start a new project at any time. I owe my entire online career to this amazing tool thats free to use and can be enabled to just about anywhere you type words into whether it be in the form of an email, a blog post, or sending a tweet out to your followers. Are you an aspiring freelance writer who is looking to break into the world of freelancing and learn how to build your very own freelancing business? Perhaps you’re looking to land your next freelancing gig but you aren’t sure who has the highest paying jobs that would match your credentials and skills that you currently possess. There are a ton of places you can go to attain this information but none of them are as detailed and technologically advanced as Contena in my personal opinion. It doesn’t matter if you’re looking for a personal coach to keep you accountable and motivate you to continue pushing forward to meet your goals or just looking to land your next gig and make some money. Contena can help you achieve all of this and so much more. There is step by step training that will walk you through how to set up your freelancing business and give you a rough estimate as too how much you should charge for your first gig. There is a complete section that introduces you to writing and shows you how to write descriptive headlines that create a call to action that makes people want to click and take advantage of your offer. Not to mention that you’ll also get your very own writing coach to hold you accountable and be there to motivate you, help answer any additional questions you may have when first getting started. This is what I like to call an all in one online freelancing training academy. 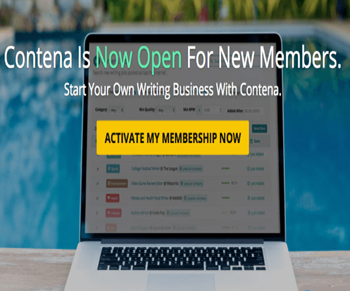 Contena has helped countless hundreds if not thousands of people learn how to launch their very own freelancing business and has taught many up and coming freelance writers how to attract some of the highest paying clients in the industry. If you have ever been interested in getting into the freelancing world but wasn’t exactly sure how to go about this then I would highly recommend that you check out Contena for yourself to see how they can help you. You’ll be coming back here to this post and thanking me later!! As technology continues to evolve and we learn about new ways to express our thoughts other than writing them down or typing them out on a website or blog. Wouldn’t it be nice if you were able to speak your thoughts and have them typed out for you up to 3 x faster than you could type them out by simply using your voice? I’m not sure how you guys feel about this new technology but I particularly am pretty blown away by it myself tbh. I have used similar voice dictation software in the past and to be quite honest with you guys it didn’t go very well. There is a slight learning curve to training your dragon to get to know the sound of your voice and remember the most common phrases that you say on a daily basis. However, if you can get past this and you really take the time to train your dragon then this could be a really beneficial tool for you to invest in. Transform your ideas into beautiful high quality content within seconds with their newly improved voice recognition software upgrade. Completely designed from the ground up using Nuance Deep Learning Technology!! You can now type up to 3 times faster than you would normally type which means you’ll be more productive while you’re producing quality content for the web or answering that email from your boss. Eliminate playing the hunt & peck game and instead sit back relax and let your voice do all the work for you and avoid the tedious task of having to type everything out. 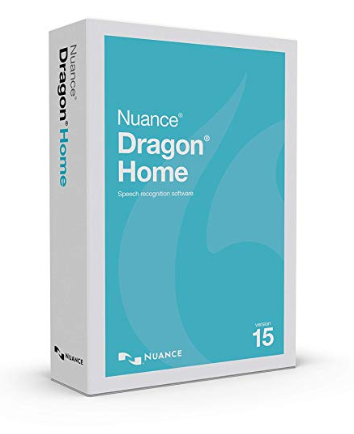 Up to 99% accuracy and the ability to customize a variety of settings to help your dragon recognize and adapt to your voice. If you’re looking to build an affiliate marketing business for the long term and looking to start out slow and gradually add to it as you go then this list is a great place for you to start. When I first started out here nearly 6 years ago, I started out with the bare minimum tools and worked these into my budget once I started making consistent affiliate sales and my revenue started to go up each month. The tools that I’ve listed above should complement your business and help make it grow but before any of this will work you’re going to need an idea to get your business off the ground and up and running. You’re also going to need a place that will train you on how to get everything set up and learn everything necessary for you to become successful here. There are a plethora of places out there that claim to teach you how affiliate marketing works but close to 90% of them are only out to get your money and leave you more confused than you were when you first started. The place that has helped me out the most and shown me how to build a legit business in the online world is Wealthy Affiliate. If you’re serious about learning the proper way to build a legit business online and you’re sick and tired of being scammed then I would highly recommend that you check out WA for yourself to see what they can do for you. You’ll also have me right there by your side to help you out and answer any questions you may have when you’re first getting started or at any time for that matter. Other than that I really hope this list of tools has given you guys an inside look at the tools I use on a regular basis to reach the level of success that I have attained. With the right mindset, lots of motivation, help from me, and many other factors that you’ll need to fit into the equation before you’ll be able to start benefiting from the tools I mentioned above. This is just a few of the many that I use right now and like I said earlier, I’ll be updating this list from time to time so make sure to visit this page frequently to the many updates I’ll be adding. Comments, Questions, or any feedback you would like to leave for me? I would love to hear all about them and answer any additional questions you may have in the comments below.